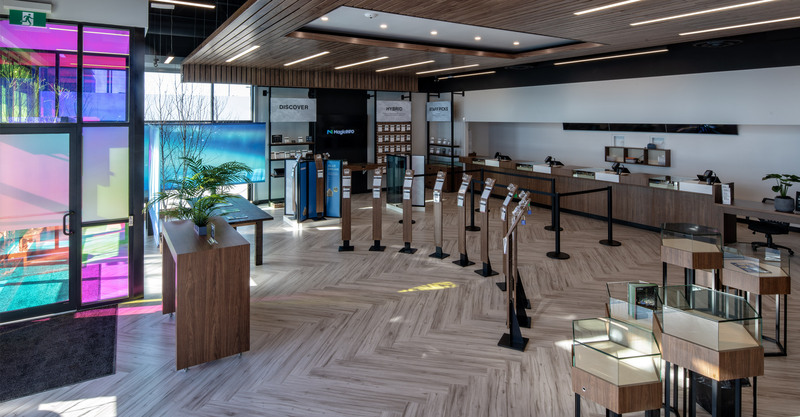 Over the course of 2018 Fillmore Construction worked with Alcanna to assist in the design of and then to build 8 NOVA Cannabis stores around Alberta. These stores included high end finishes including wood ceilings a considerable amount of custom millwork. Fillmore Construction will work with Alcanna over the course of 2019 and 2020 to build another 29 stores across Alberta in the NOVA Cannabis chain.